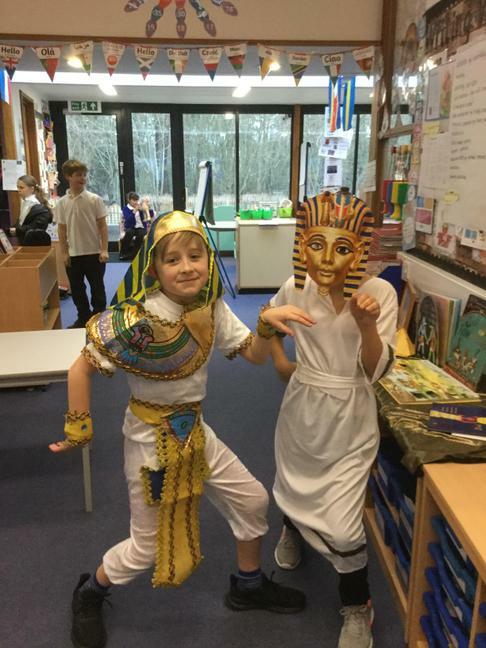 Egyptian themed day in Year 5 and 6! 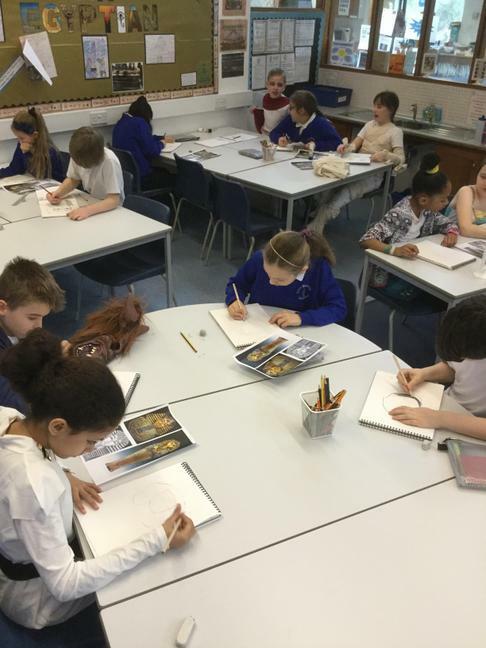 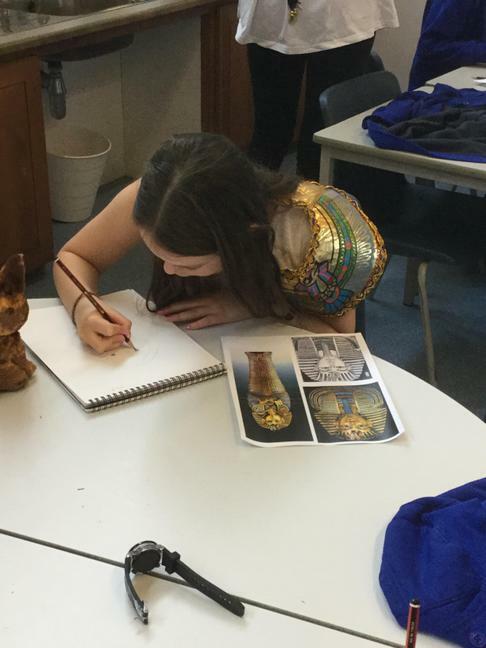 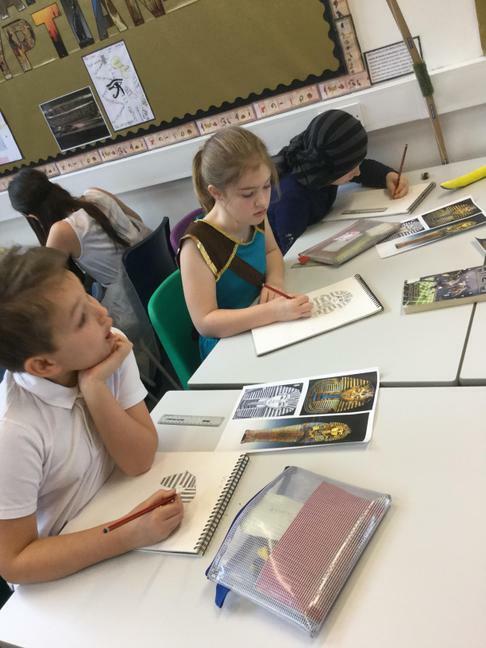 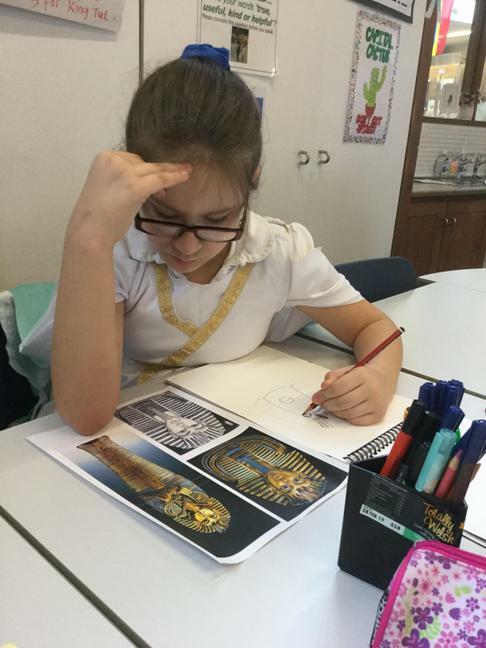 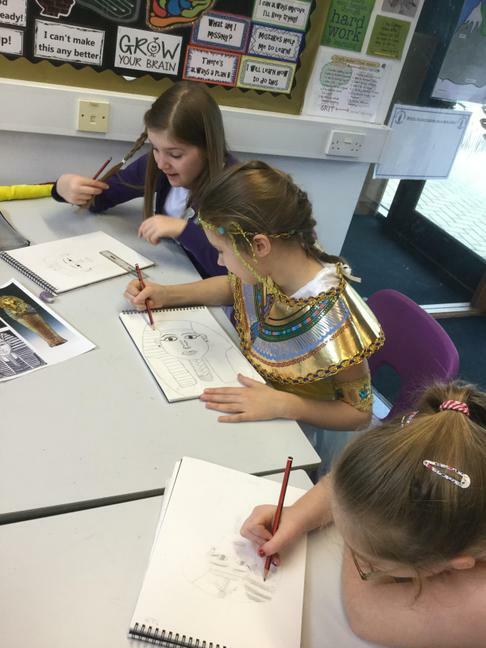 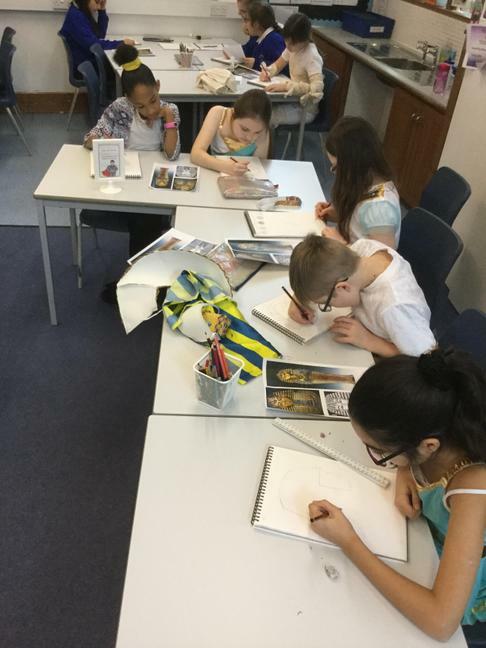 As part of our topic ‘Walk Like An Egyptian’, Year 5 and 6 had a fantastic Egyptian themed day where the children wrote their names in hieroglyphs and sketched the infamous death mask of Tutankhamun. 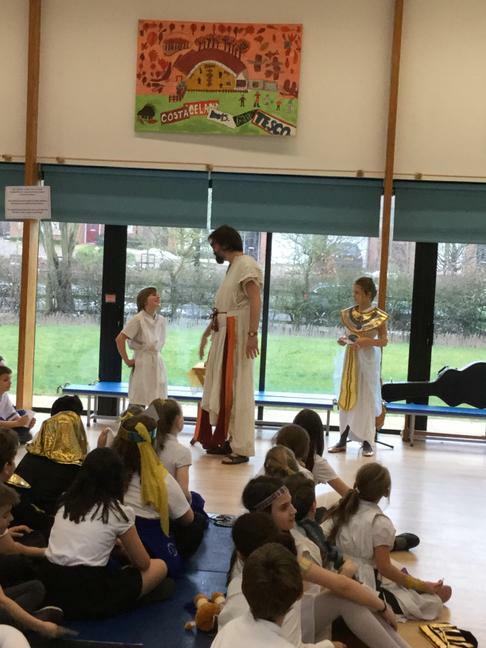 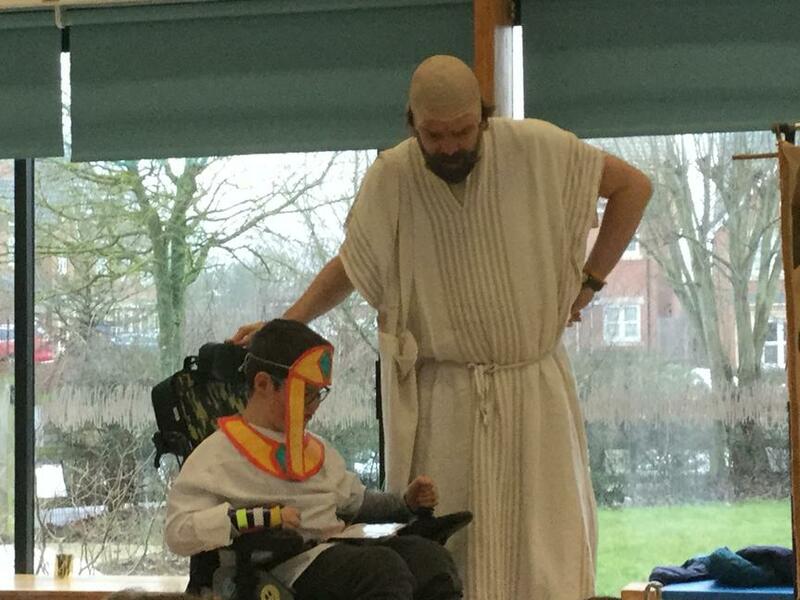 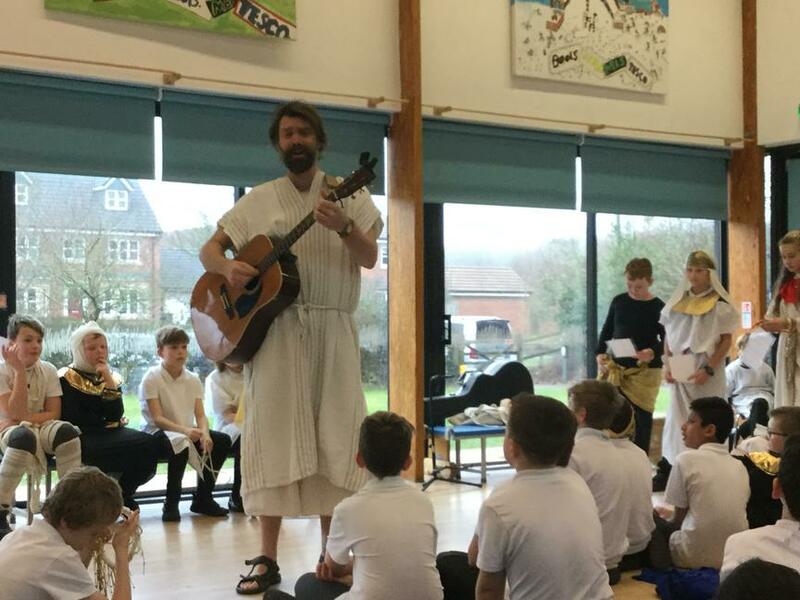 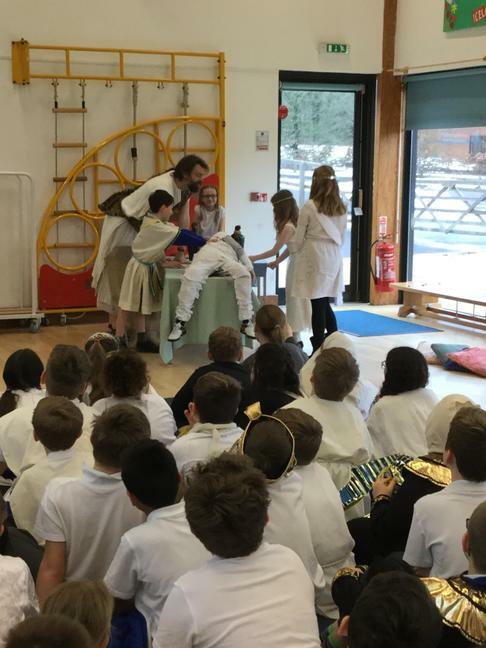 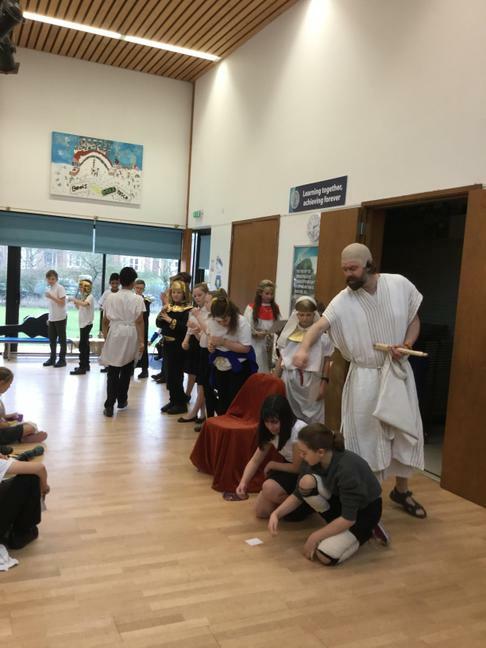 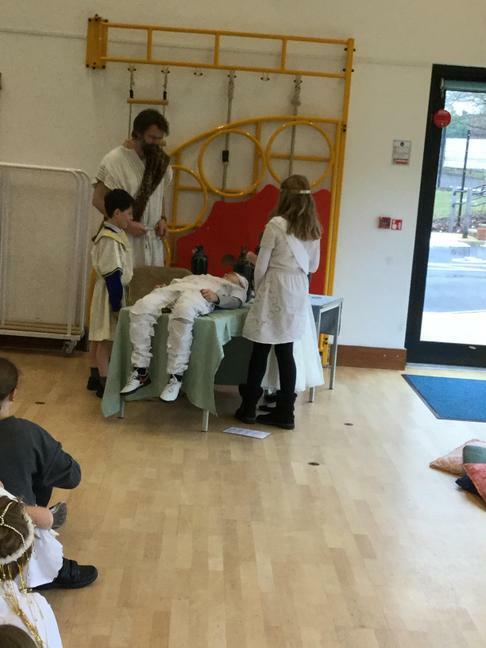 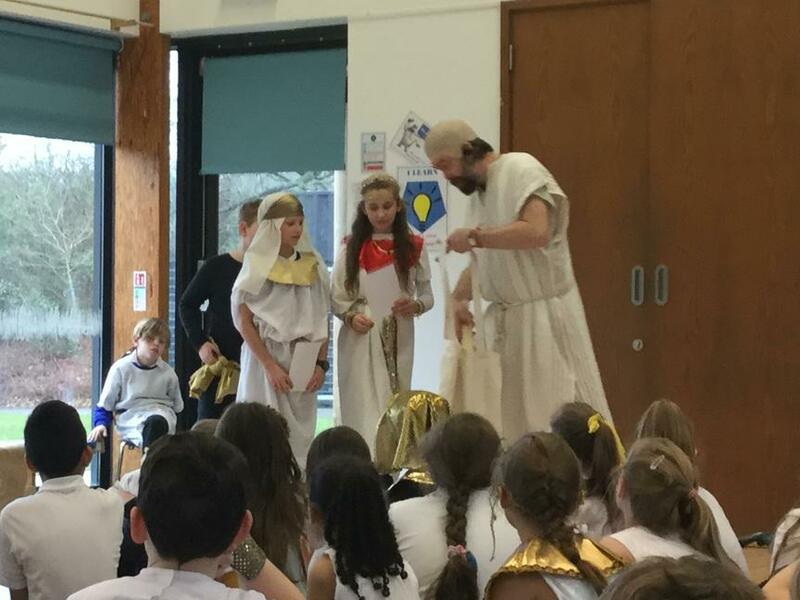 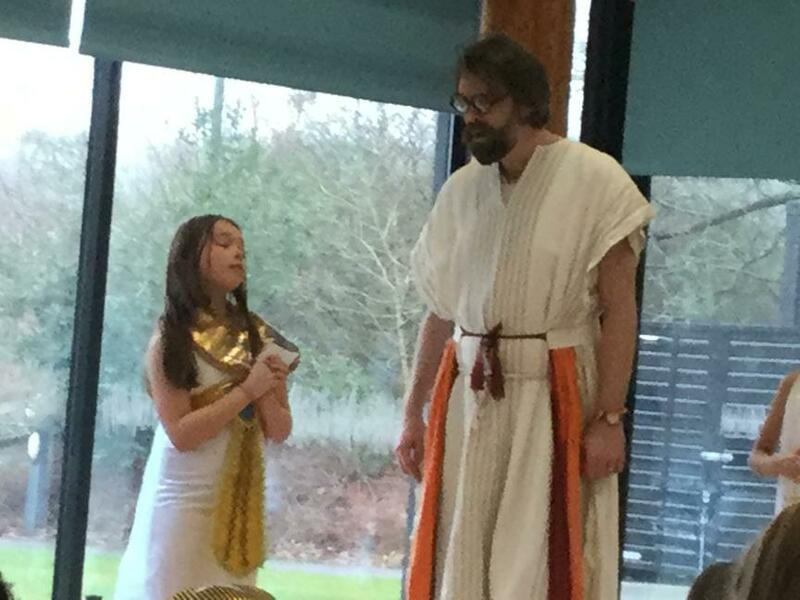 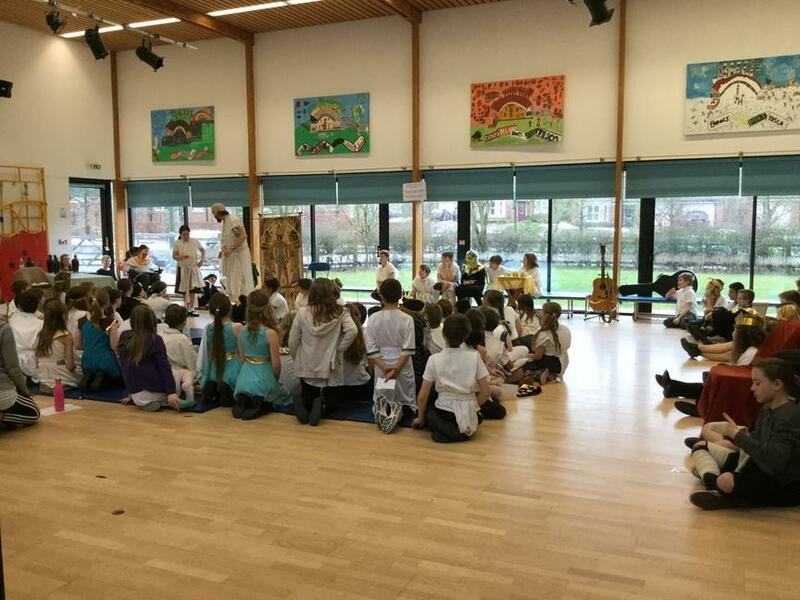 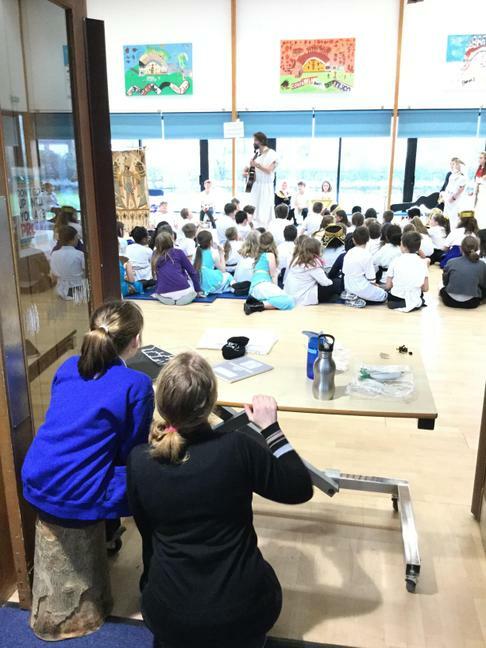 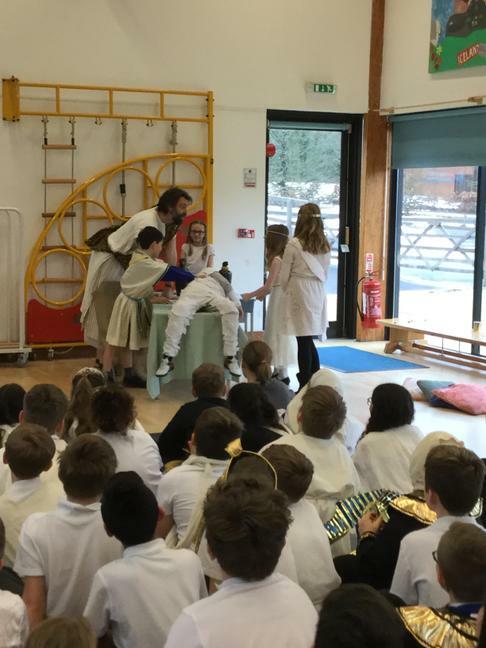 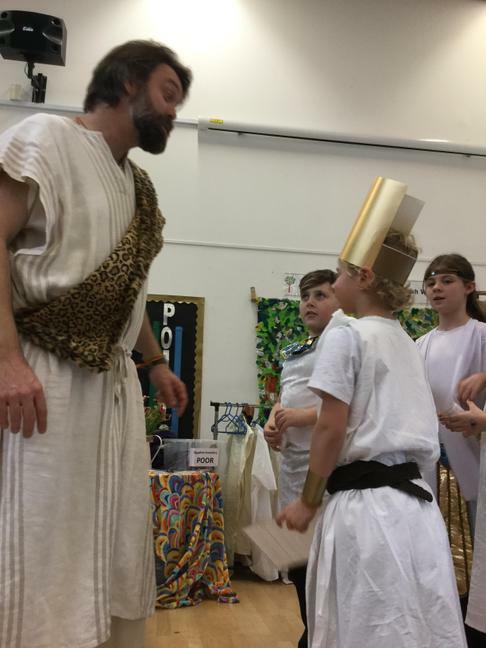 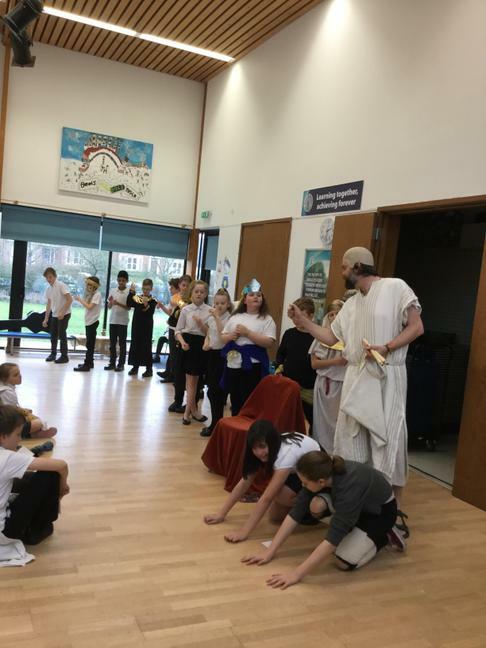 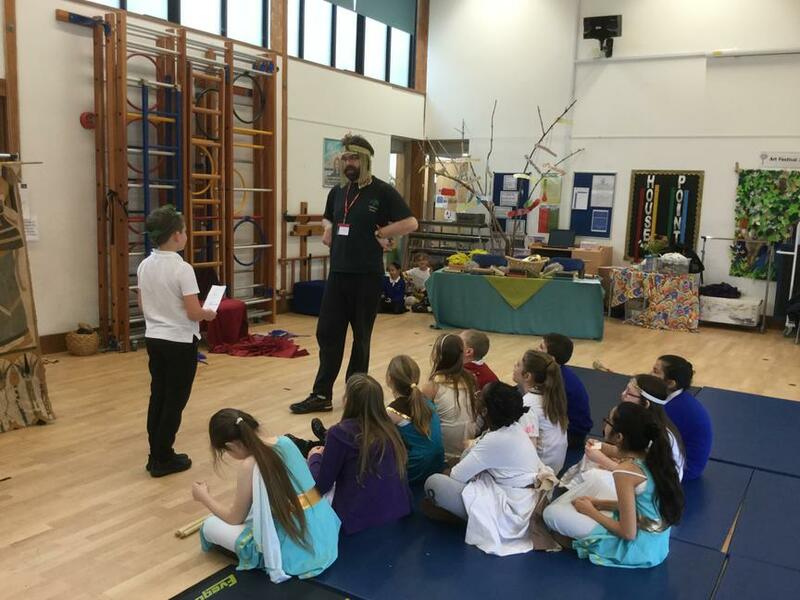 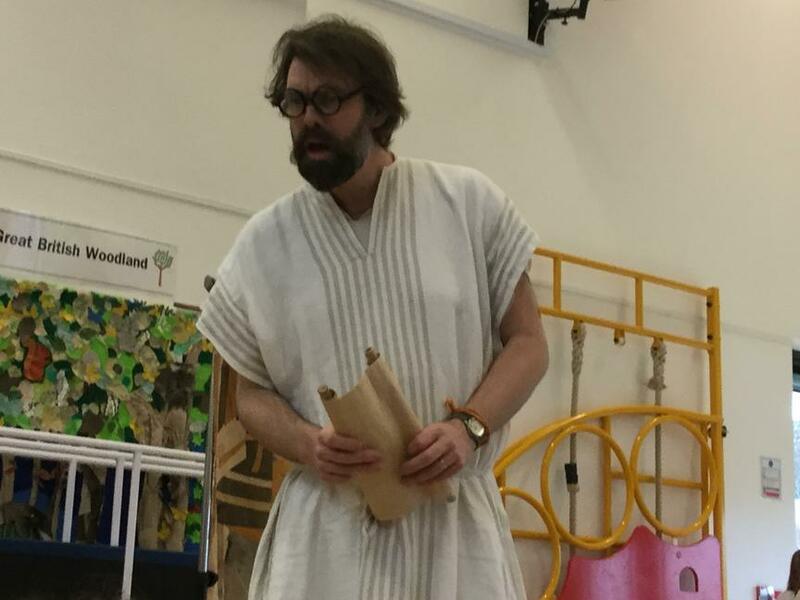 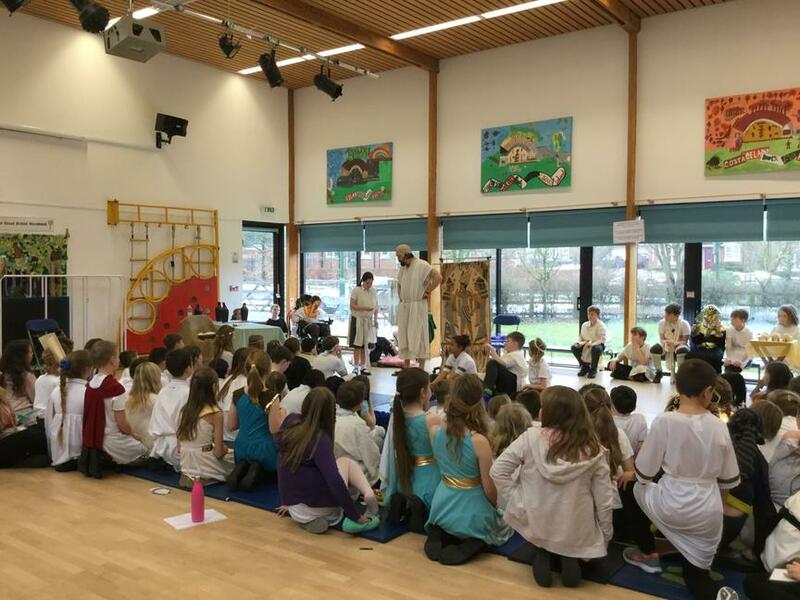 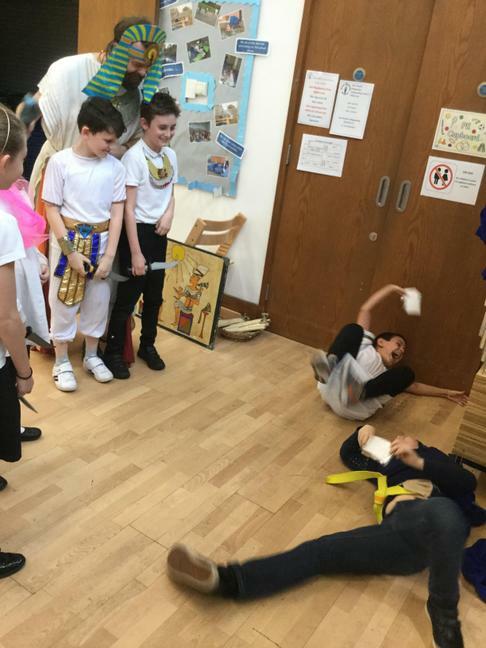 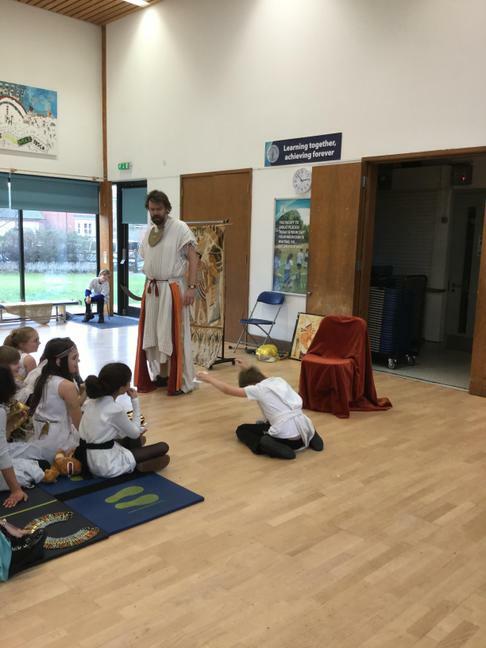 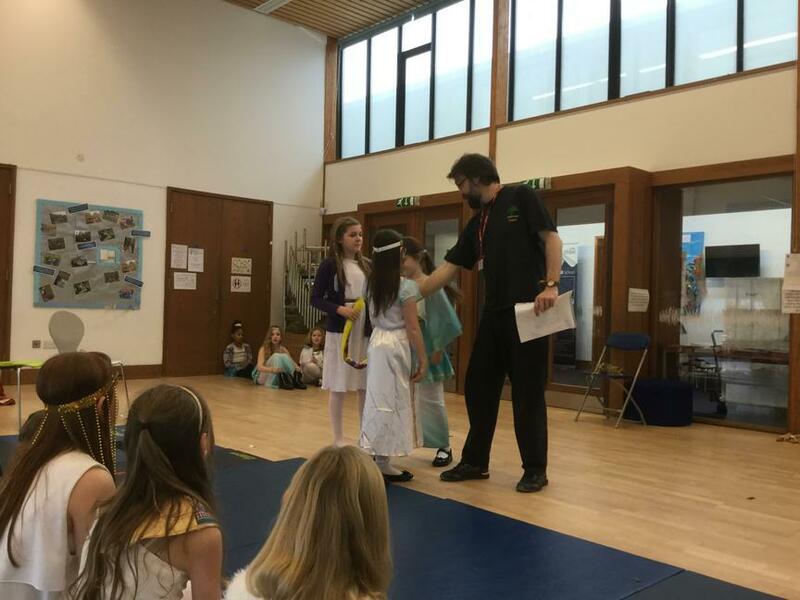 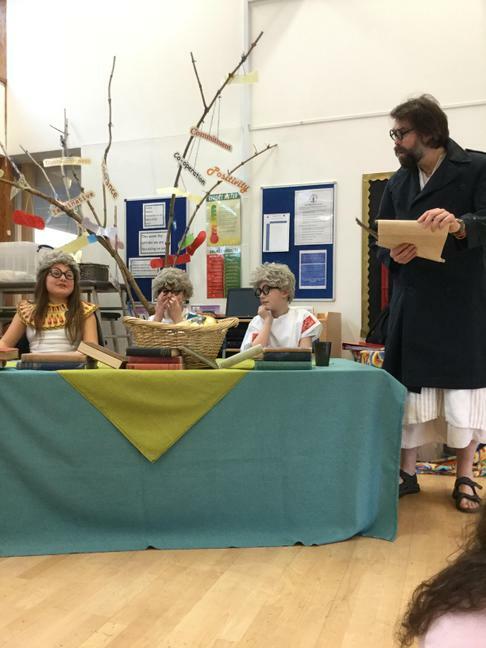 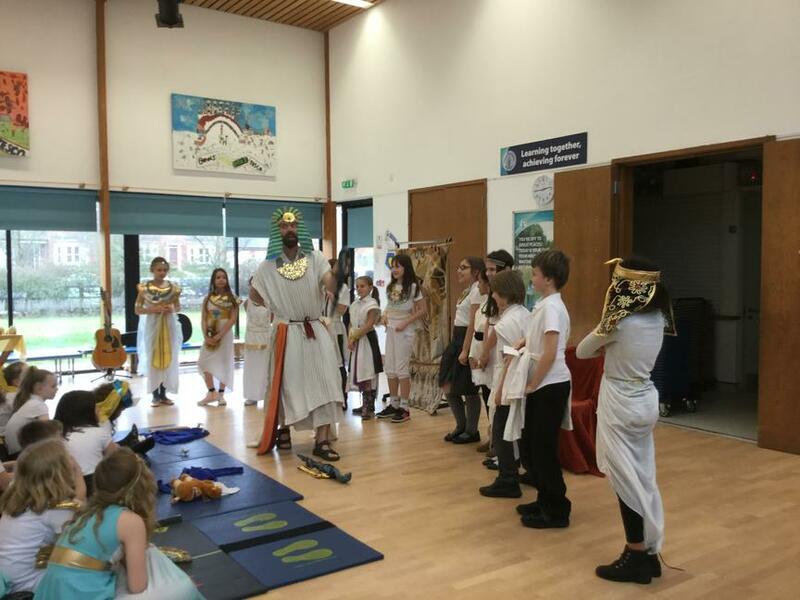 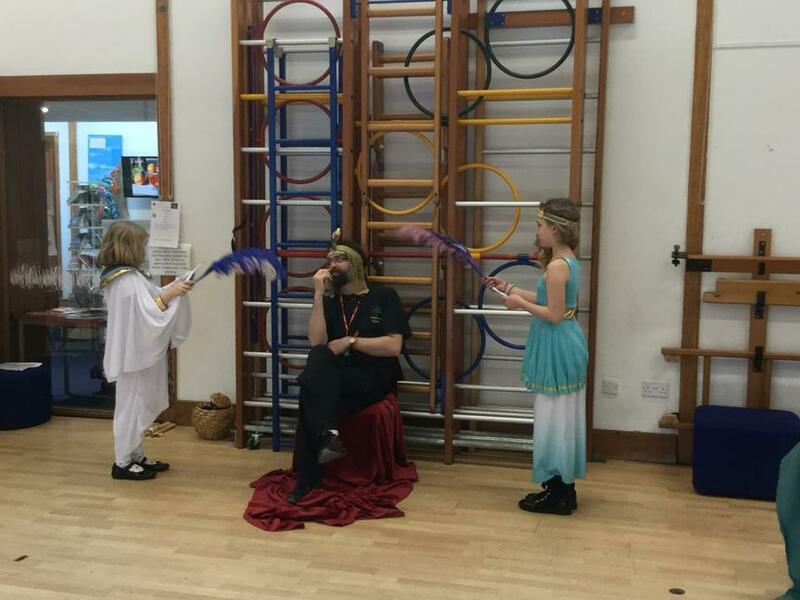 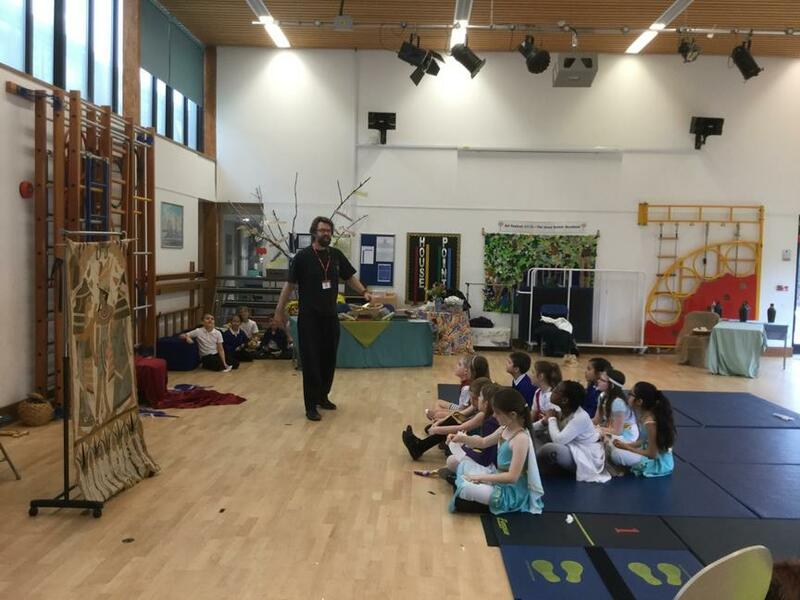 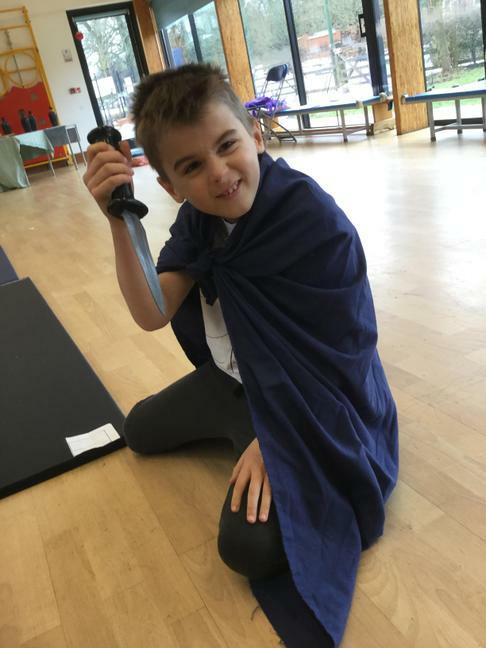 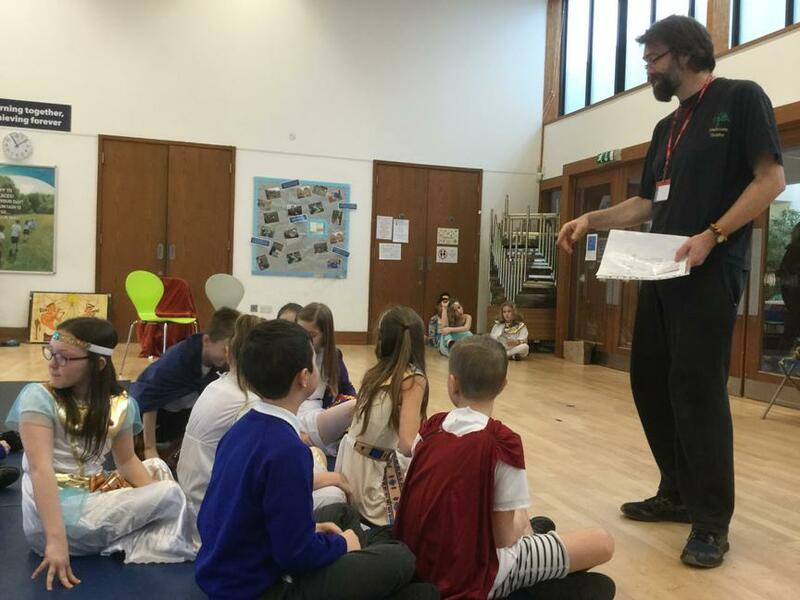 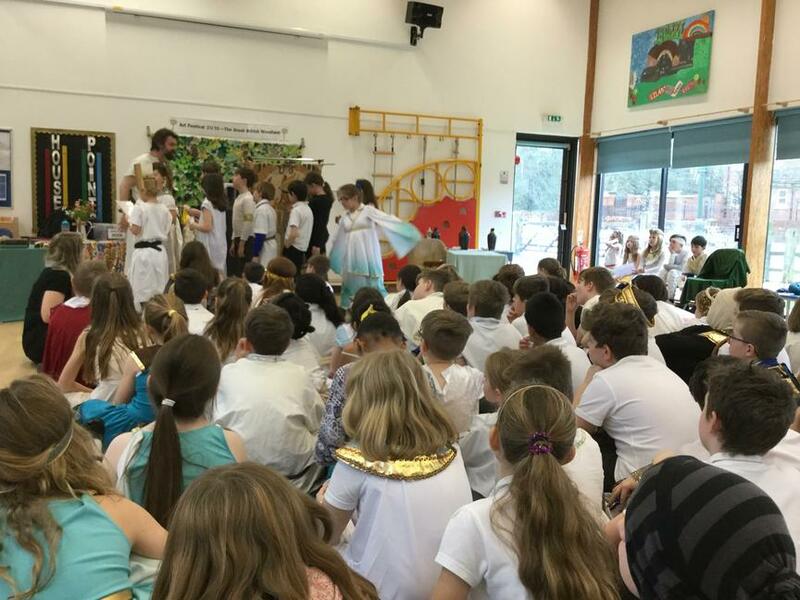 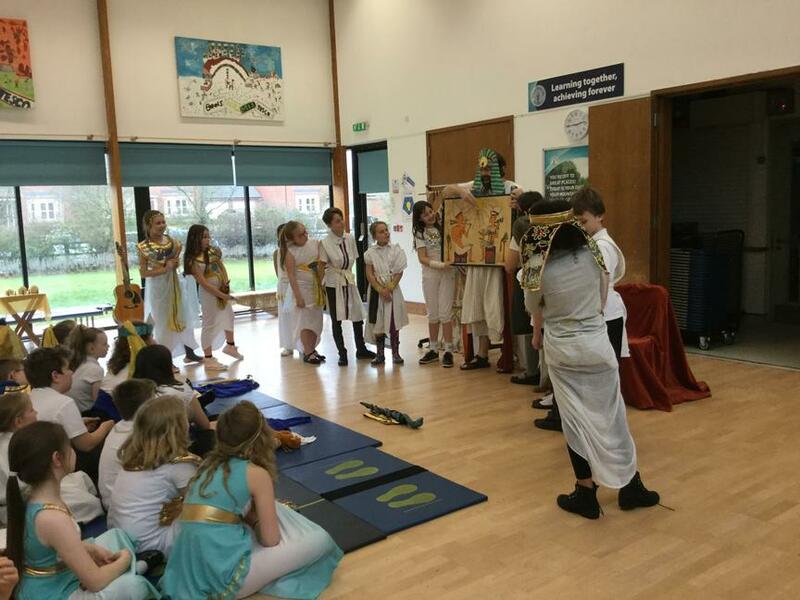 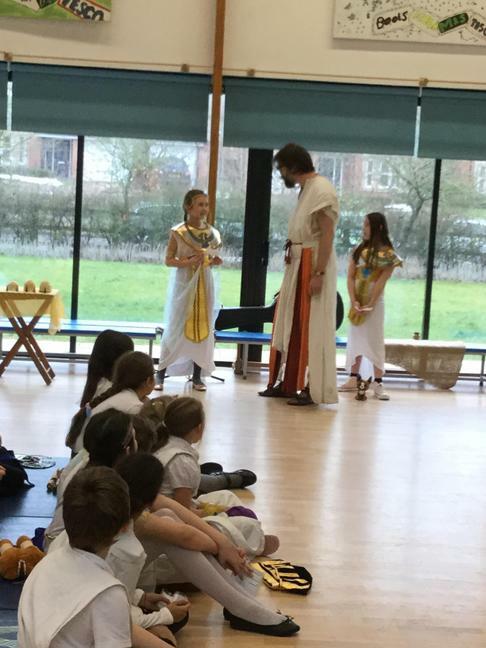 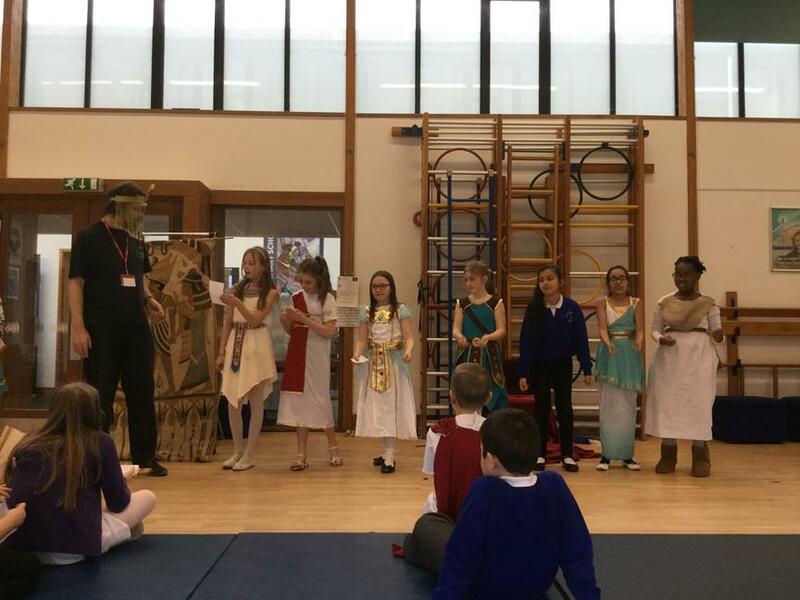 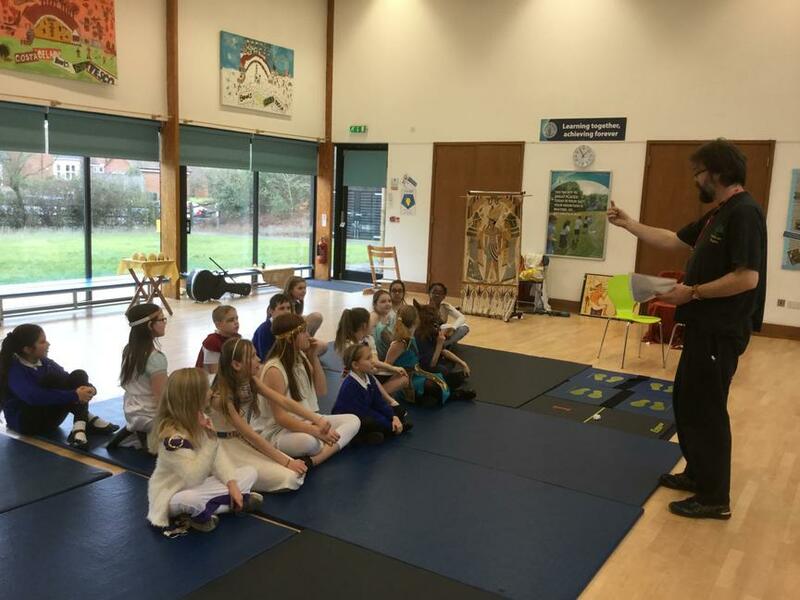 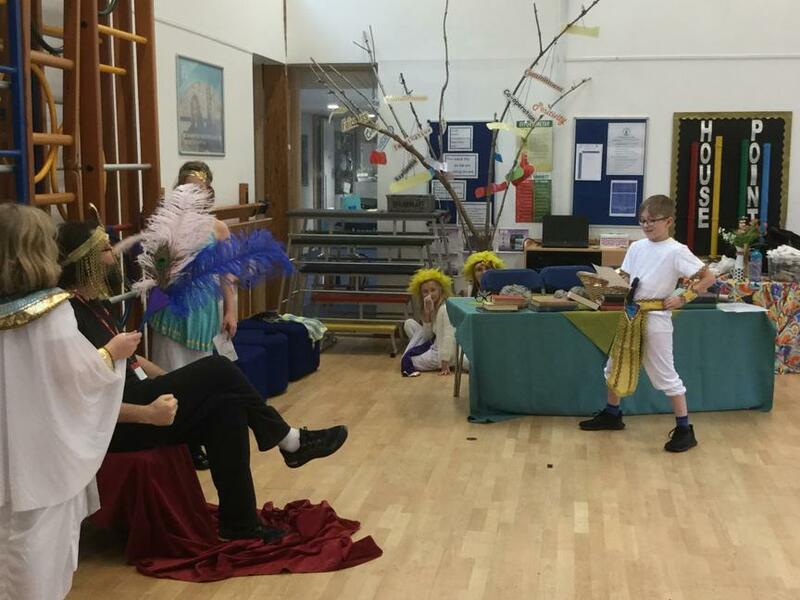 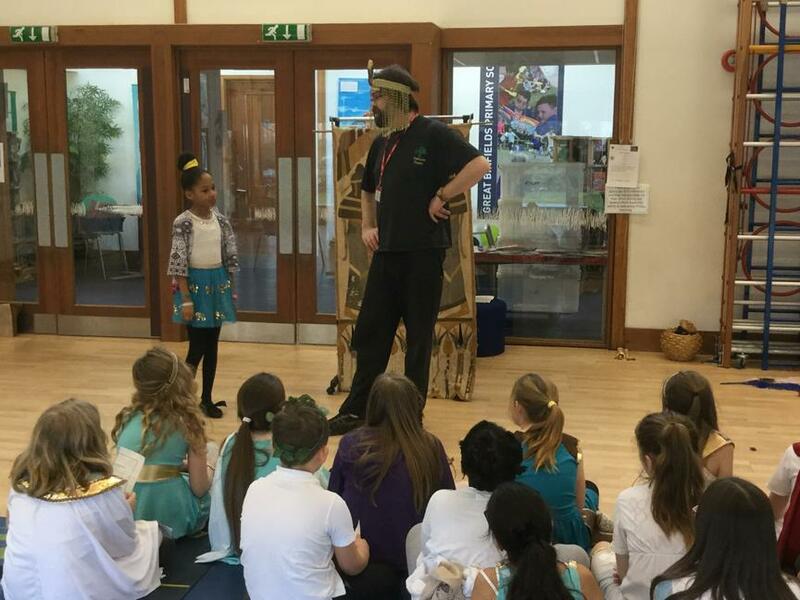 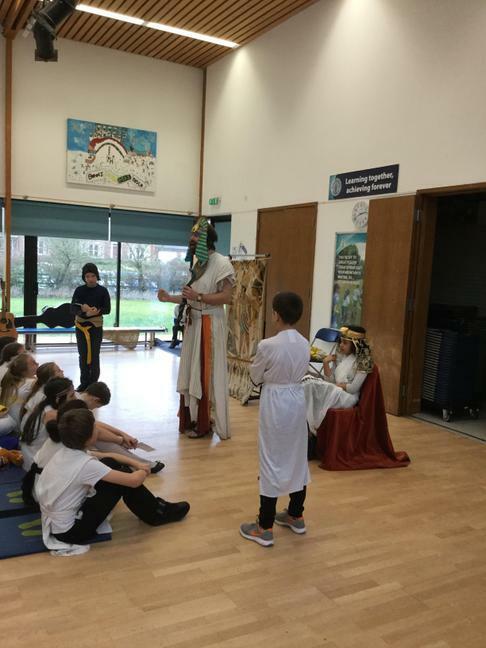 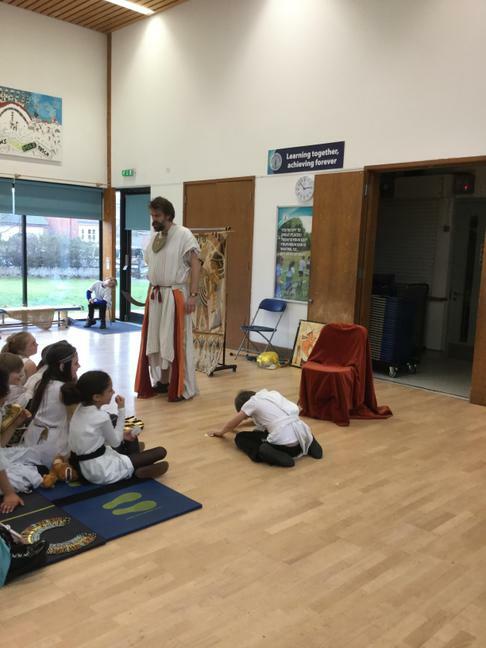 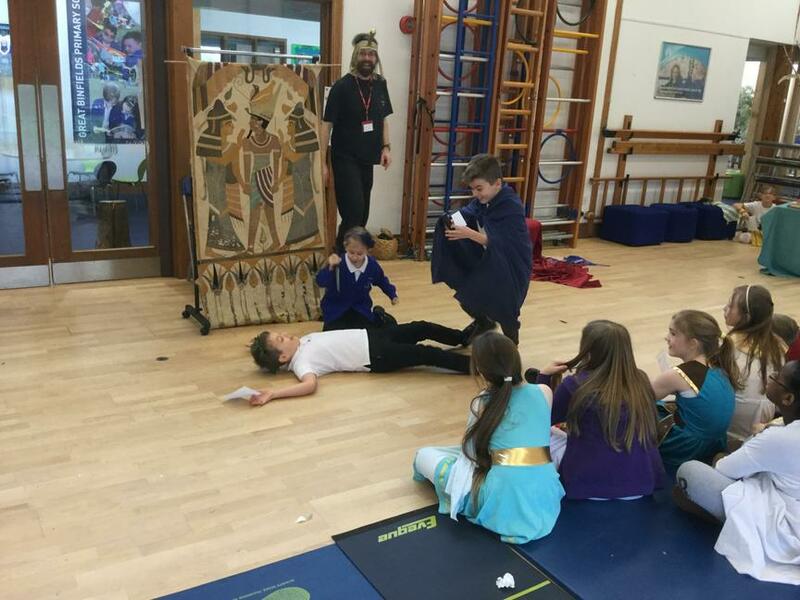 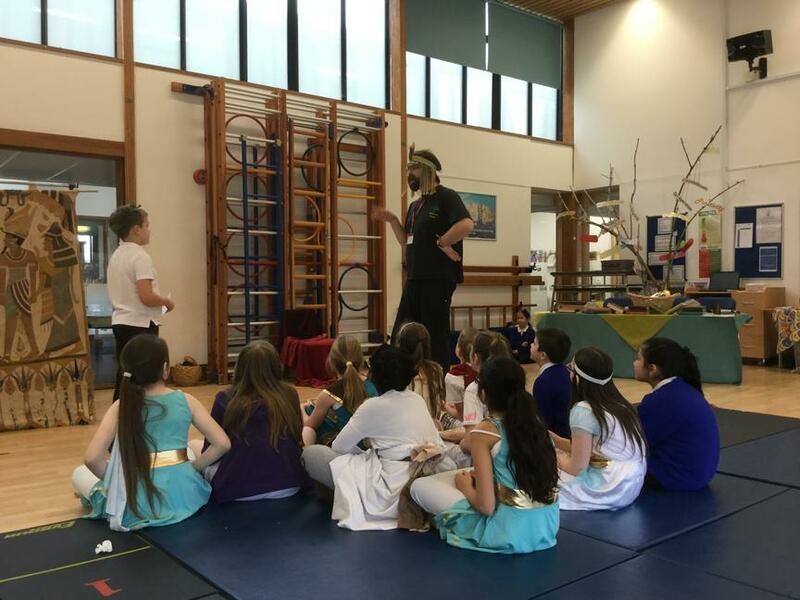 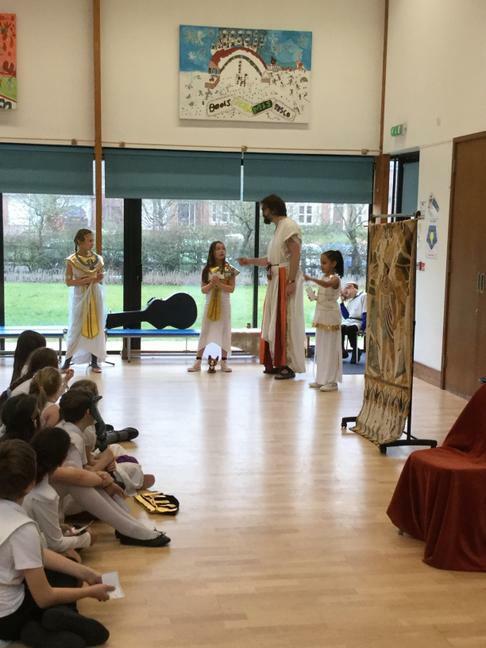 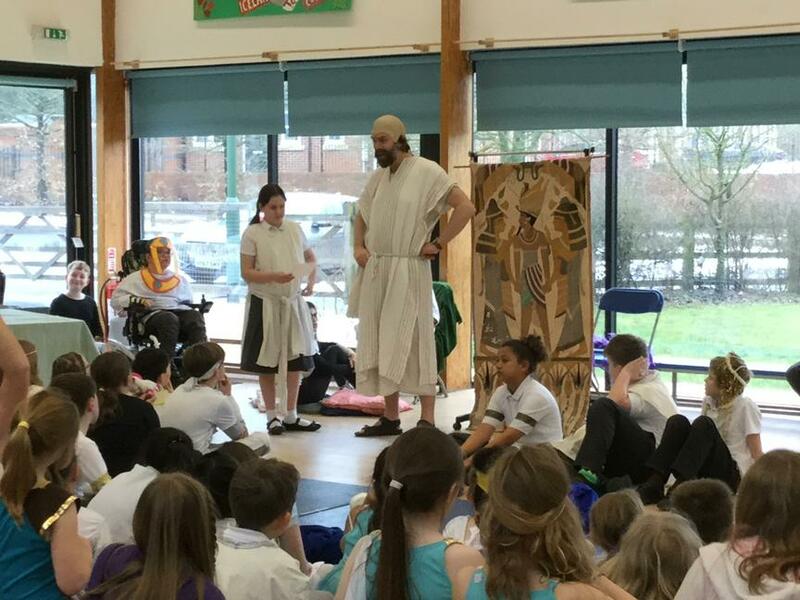 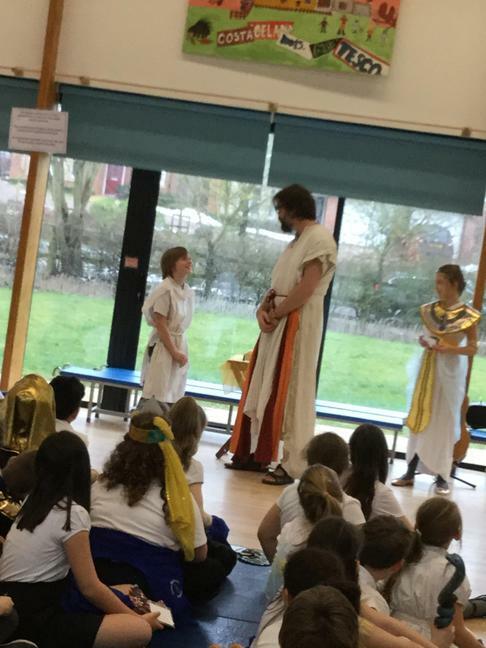 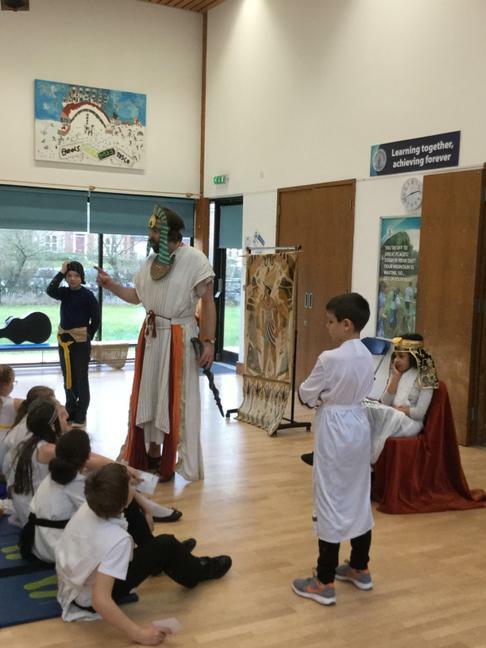 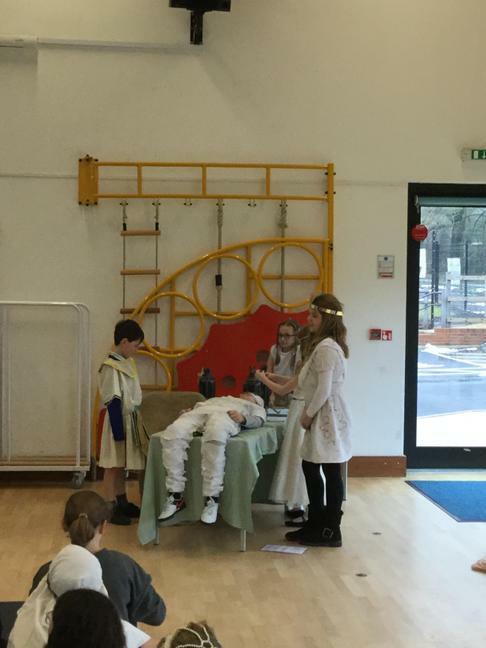 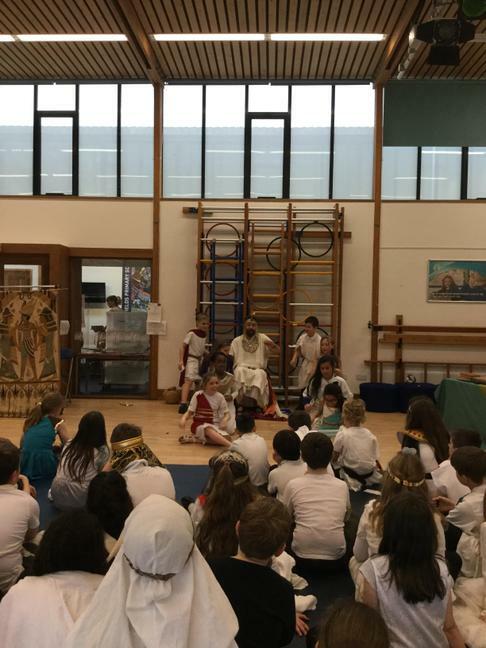 We also had a visit from Ben, an actor from the Treehouse Theatre Company, who helped the children perform a play-in-a-day that spanned the history of the Ancient Egyptians from Tutankhamun to the reign of Cleopatra. 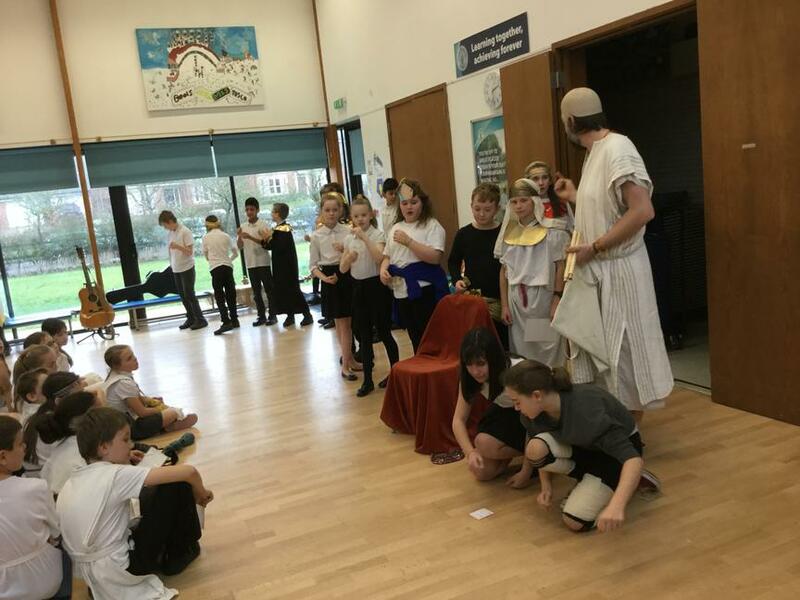 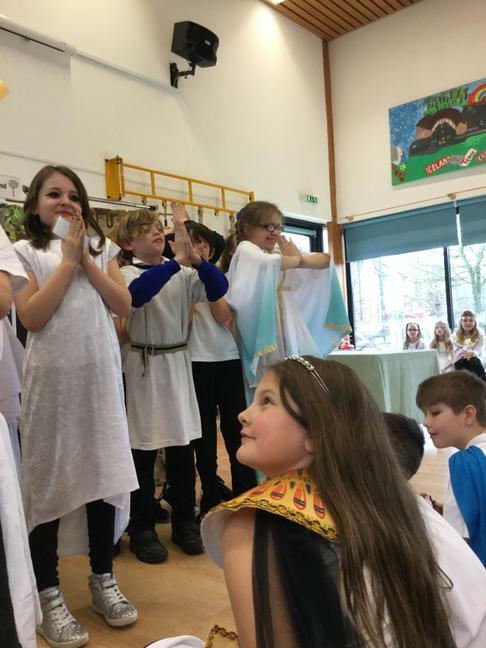 Thank you to all of those children who made the effort to dress up as it really did make our performance look even more authentic! 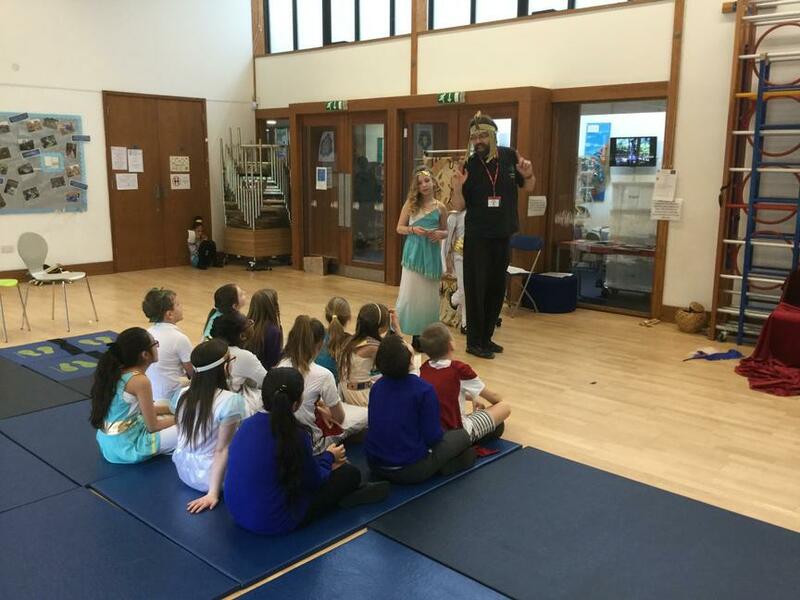 We hope the children had a lovely day. 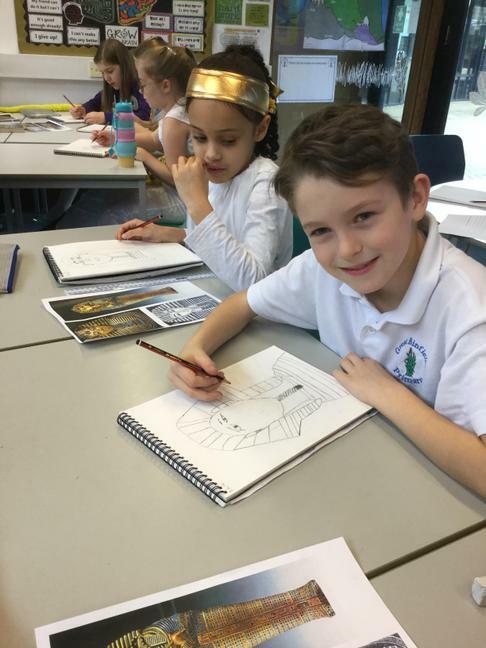 Take a look at our pictures to see what fun and exciting things we got up to!